It's finally Friday! 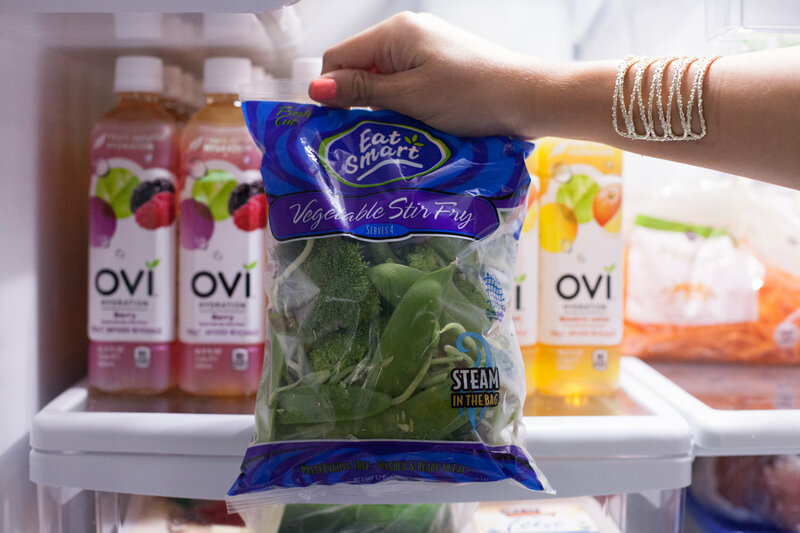 Being that we are six months from our wedding date, and that the first "official" day of summer happened this week, I thought it would be fun to chat about five things we keep in our refrigerator at all times. We've made a conscious effort to start pushing towards a totally clean diet, and I plan to cut all indulgences out three months from our wedding date (say a prayer for me, the sweet tooth rules the roost around here.) I am a very goal oriented person, so I wanted to be able to follow some sort of structure without shifting towards pre-made meals. I follow the Kayla Itsines BBG workout program, so I figured it was only appropriate to start her 28 day healthy eating plan, too. With that being said, there are a few items her program consistently uses in it's meals! 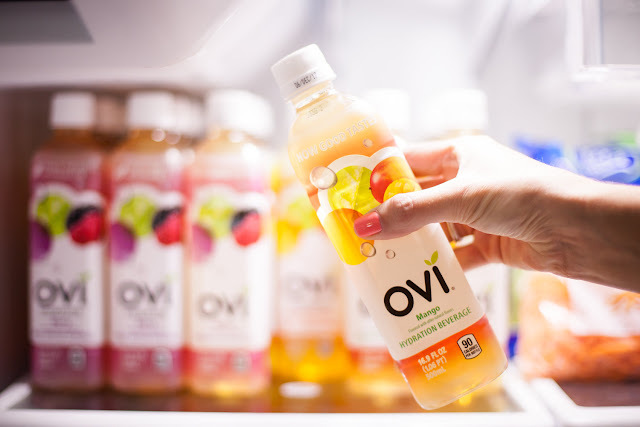 Water (OVI Hydration) - You're probably thinking, "okay, Vanessa - stating the obvious here." Yea yea, I know. However, drinking water for me is much harder than it sounds. Unless I'm working out at the gym, I simply don't get thirsty. This probably sounds super weird to you, but if it isn't coffee, - I'm "babysitting" my drink, or just not drinking at all. Insert my introduction to OVI Hydration. I talked a little bit about OVI on Instagram a few weeks ago, but I want to elaborate. Part of training and developing the regrowth of your muscles, is hydration. OVI makes drinking water interesting. It's low in calories, made of 10 ingredients, tastes good (Mango is my favorite), and simply put - easy. 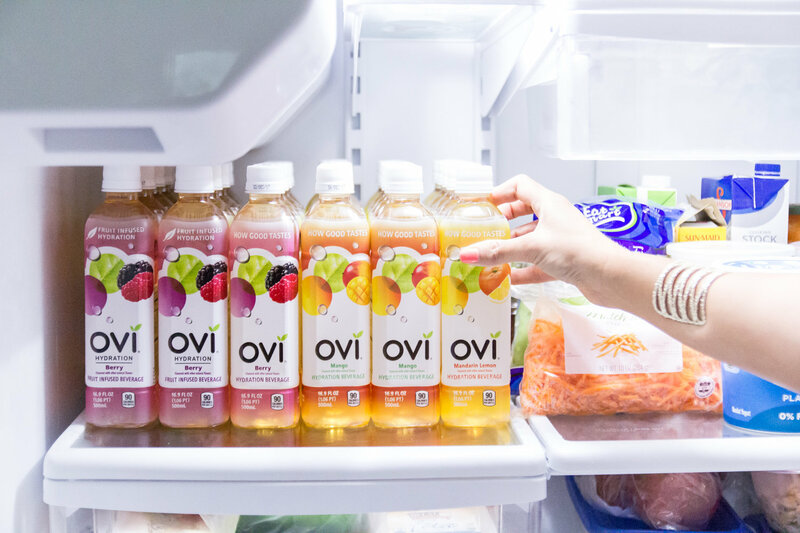 As pictured above, our refrigerator is stocked to the brim with different flavors, and I grab a couple each morning on my way to the gym and to work. It's available at big box retailers like Walmart, Lowes Foods and Harris Teeter. Since my Instagram post, I've also received a few messages from you guys about how much you like it -- so I think most would agree with me! 0% Fat Plain Greek Yogurt - My greek yogurt of choice is Stonyfield. 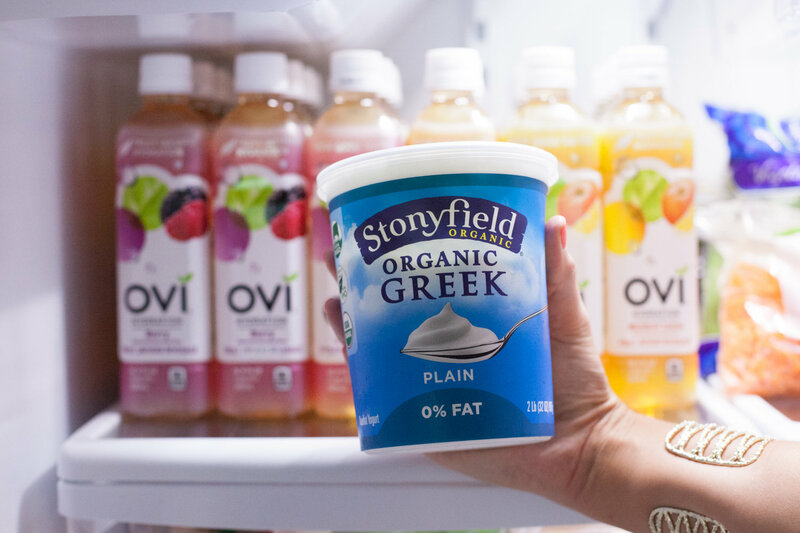 I like Stonyfield because it's not nearly as chalky as some of the others I've tried, and blends easily when used in recipes as a substitute! Yogurt is also an important part of your diet because of it's calcium content. Calcium allows our muscles and nerves to function, and eating yogurt is one of the easiest calcium sources out there! Kayla's program reccommends 2 1/2 servings of diary daily so we always have one of these in our fridge! Chia Seeds - I add Chia seeds to basically anything I can (including my above mentioned yogurt)! Chia seeds are a superfood in the nuts and seeds category, that are full of fiber! 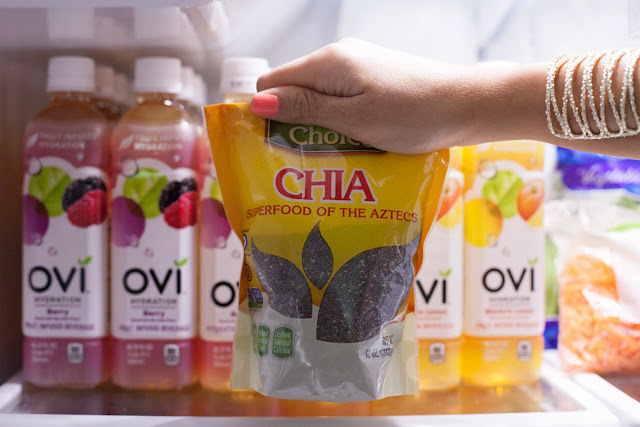 Adding Chia seeds to my smoothies, yogurt, and energy bites (ICYMI that recipe is here) helps increase my feelings of fullness after meals. Fruits and berries - Specific berries, like raspberries, are also a superfood! I've been a fruit and berry lover since my childhood days. Blueberries, strawberries, and raspberries contain a high level of natural antioxidants and are great for giving your skin a healthy glow and protecting your immune system! 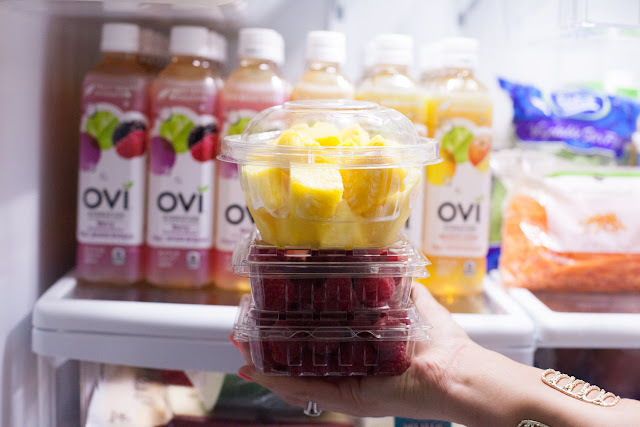 Not to mention, they're super yummy in Kayla's smoothies and yogurt! Veggies - last but certainly not least, veggies! Traditionally I buy a ton of veggies. Spinach, Kale, Brocolli, Asparagus, Green Beans etc. One of my favorite things to do with veggies, spinach in particular, is add them to juices! Spinach doesn't contain a strong taste, so adding it to a fruit juice doesn't alter the taste yet you still reap the benefits like its B vitamins! A little bag of veggies like the one pictured above is an easy "go-to" after a long day of work. I like chopping up some chicken, throwing it in a pan with a veggie mix, and calling it a day! Simple and healthy. Thats the scoop on my fridge sitch! I'd love to get your feedback on wether or not you are interested in additional content in the healthy eating space in the comments below! 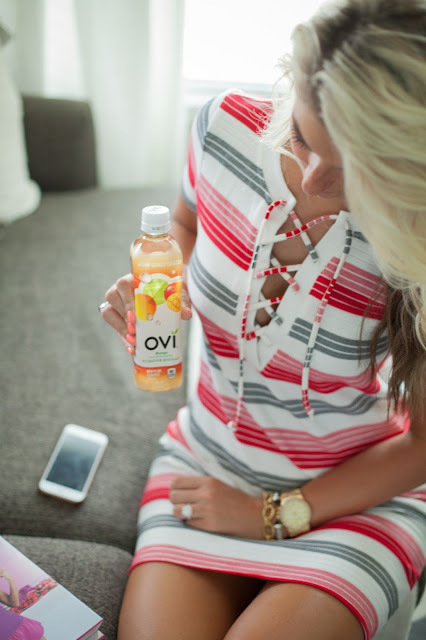 "Written in partnership with OVI Hydration. 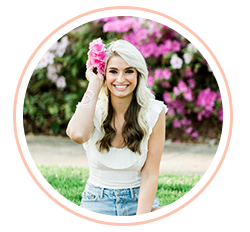 Thank you for supporting the brands that make this blog possible." Oh my gosh, that is too funny!! My fiance and I have to limit ourselves to just eating two a day because we would eat the whole batch if we didn't! Love the feedback, thank you! Hey, I am Diane C. Brown. I want to lo lose my weight. Already I have gone through your articles. It's not a bad idea. It's really good. My fiance and I have to limit ourselves to just eating two a day because we would eat the whole batch if we didn't! Love the feedback, thank you! so I wanted to be able to follow some sort of structure without shifting towards per-made meals. I follow the Kayla It sines BBG workout program. Get the best local Appliance Repair Los Angeles service from top notch professionals in the appliance repair industry. We repair all brands and models of commercial and residential appliances including refrigerator repair, washer repair, dryer repair, oven repair and all other major appliances that need service or repairs.